Lower the price of everyday life. Combine your rewards from Winc and Gold Status to save even more at Shell. 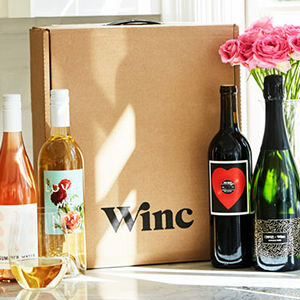 Rewards on wine delivery? Cheers to that. *Restrictions apply. See full Terms and Conditions. 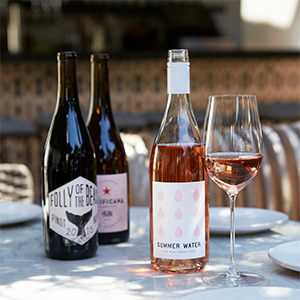 Earn $1/gal when you become a Winc member and complete your first purchase. Earn 10¢/gal for every purchase of $40 or more. Redeem your Fuel Rewards savings at any participating Shell or other select gas station. Offer valid with new Winc subscriptions only. Fuel Rewards savings expire on the last day of the month, 2 months after they post to your Fuel Rewards account. For example, rewards that post to your account on May 8 will expire on July 31. Fuel Rewards savings are limited to 20 gallons of fuel per purchase, per vehicle. **Offer ends 2/28/2019. Promotion applied as a $26 discount at checkout. Restrictions apply. Offer valid from 8/23/17 – 5/23/19 for Fuel Rewards® members. To earn a one-time Fuel Rewards savings of $1.00/gal, Fuel Rewards members must enroll in a new WINC subscription and make their first purchase. Fuel Rewards WINC subscribers making additional purchases will earn $0.10/gal in Fuel Rewards savings for each purchase of $40 or more. Fuel Rewards savings earned through this offer will expire on the last day of the month immediately following the two months in which they are posted to the Fuel Rewards member’s account. This Fuel Rewards offer is available for new WINC subscribers only. This offer is not applicable for gift purchases and may not be combined with other WINC offers. Offer is non-transferrable and only available to the users that qualify. All promotions and wine purchases require a standard order with a 3 bottle minimum order. Additional shipping charges may apply. 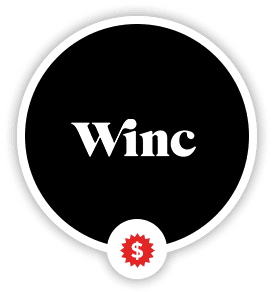 WINC is currently unable to ship to P.O. mailboxes or to the following states: Alabama, Alaska, Arkansas, Delaware, Hawaii, Kentucky, Michigan, Mississippi, Oklahoma, Rhode Island, South Dakota and Utah. Members must be 21 years old to purchase alcohol and someone 21 years or older must be available to sign for delivery. Packages returned to WINC as undeliverable may be subject to a re-stocking fee. Void where prohibited, only available in US. Fuel Rewards savings are limited to 20 gallons of fuel per purchase per vehicle or fraud limits placed by Shell and/or limits placed on your payment card by your financial institution, each of which may be lower. Dispenser may require a price of up to $0.109/gallon. Once you begin to dispense fuel using your Fuel Rewards® savings, you must dispense to the 20-gallon limit or you forfeit any remaining gallons. If you have a rewards balance greater than the current per-gallon price of fuel, the price will roll down to the maximum capability of the fuel equipment, and your remaining rewards balance will be saved for a future fuel purchase. For purchases of $75 or more, please go inside to pay. Unbranded diesel and alternative fuels may not be eligible. The Fuel Rewards® program is owned and operated by Excentus Corporation. Offers may be modiﬁed or discontinued at any time without notice. Not valid where prohibited by law. Please see www.fuelrewards.com for complete Fuel Rewards® program details and Terms and Conditions. Other restrictions may apply. All trademarks are property of their respective owners. Shell is the national fuel provider for the Fuel Rewards® program. Participation varies by market.